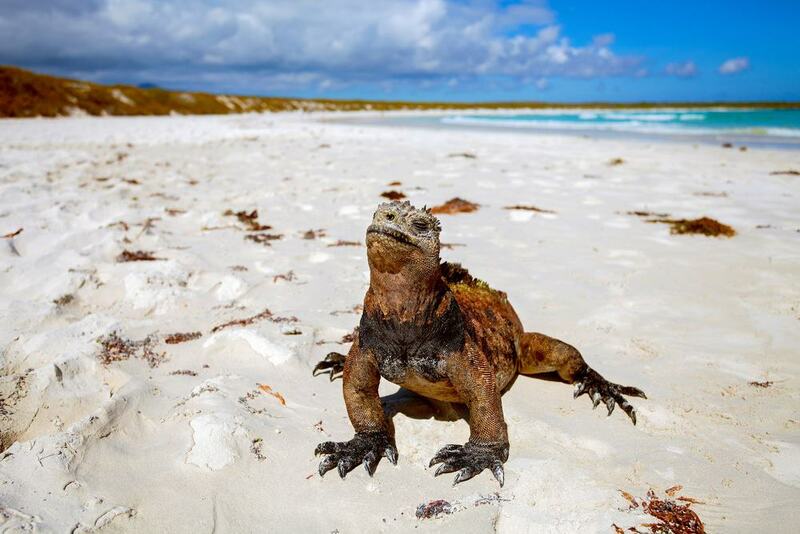 The Galápagos are volcanic islands that are part of the country of Ecuador and straddle the equator. The islands were explored and mapped by seafarers going back to the 15th century, though they weren’t made famous until Charles Darwin’s scientific expedition in the 19th century aboard the famous Beagle. The islands are considered one of the world’s most isolated and diverse ecosystems, and are therefore full of plant and animal species that lent themselves well to Darwin’s study, and later his conclusions that shocked the world, and are still doing it in some circles. They’re full of amazing sights and a variety of tours, and below are 15 of the best. 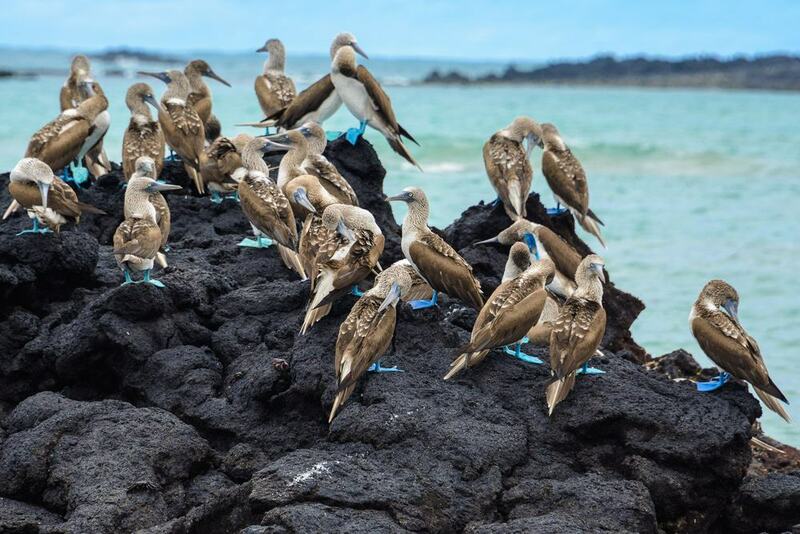 If you’ve got the time and money to invest in your Galápagos Islands adventure, then an all-inclusive tour like this one would be a wise choice. Your bilingual guide will also be a naturalist, so they’ll be able to answer the questions that’ll surely arise when visiting this amazingly natural place. Four nights’ accommodation are included, and you’ll be able to choose from a few options depending on how much you want to spend. Santa Cruz Island is one of the area’s gems and you’ll get plenty of guided exposure to its amazing geology and flora and fauna. 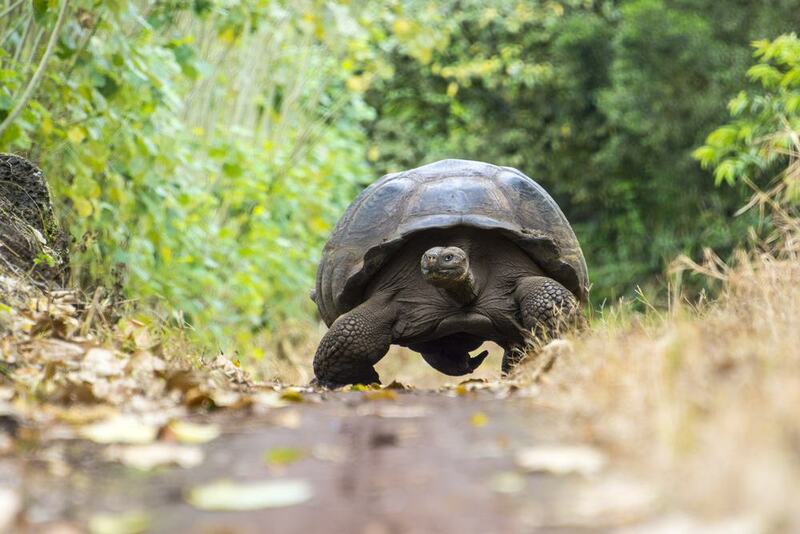 There’s a reason the Galápagos Islands are a UNESCO World Heritage site. They’re one of the most diverse ecosystems on earth, and the studies that were conducted there by Charles Darwin still cause controversy today. 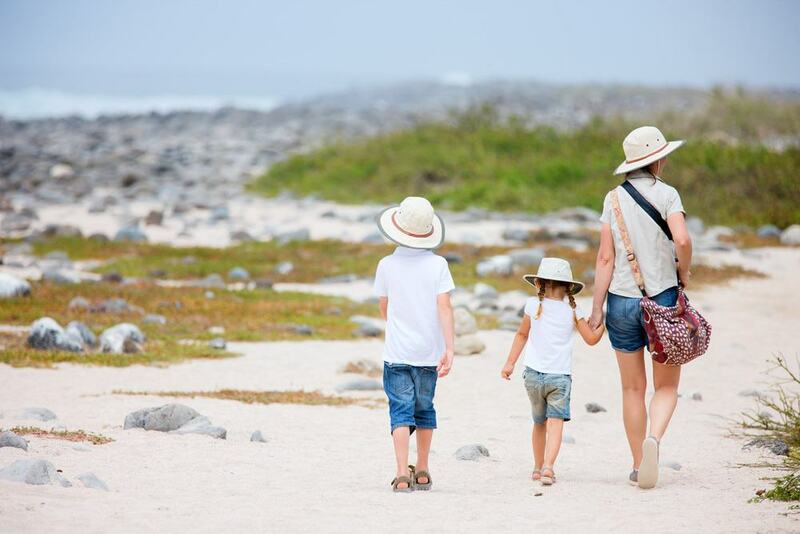 On this full-day discovery tour you’ll hit Floreana Island’s highlights that include the Scalecia forest, Asilo de la Paz, and the exotic Black Beach. 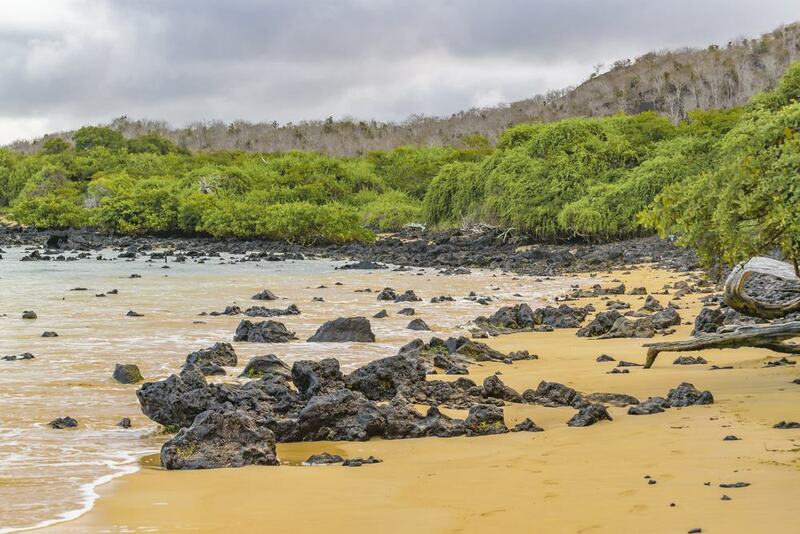 Floreana Island and the surrounding water is teeming with wildlife like penguins, iguanas, and of course, the massive and majestic Galápagos tortoises. 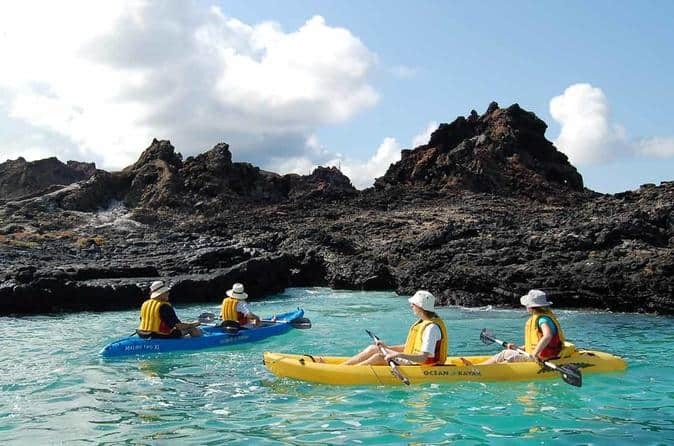 The tour begins in Puerto Ayora and includes a knowledgeable, bilingual guide and lots of fun activities. If you think that speedboats, pink flamingos, and deep cobalt seas really only exist in the intro to Miami Vice then you’re in for a pleasant surprise. Made for nature lovers and outdoor enthusiasts alike, this tour is chockfull of activities but priced lower than many similar tours. You’ll discover the Tintoreras Islet and Los Tuneles (Cabo Rosa), one of the world’s most popular snorkeling areas. The animals that call these amazing islands home will never be far away, and you’ll get a fascinating insight into Darwin’s studies conducted on the islands, and how he came to his conclusions. 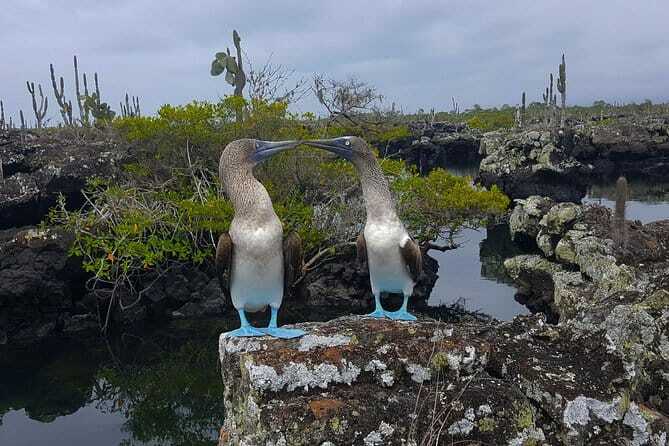 If you’re looking for the ultimate Galápagos Island tour and you’ve got 6 wide-open days to dedicate to it, then this tour is for you. Trips to San Cristobal, the Española Islands, and Santa Cruz are included, as are an amazing array of activities that are designed to get you and your travel buddies up-close-and-personal with the area’s wildlife and natural beauty. Hiking, snorkeling, swimming, and kayaking excursions are available and it’s up to you to decide which activities you’d like to join and which you’d rather sit out. Most meals and 5 night’s accommodations are included in the price. Check carefully before you book to see what’s not included. Garrapatero Beach is easily reached by a short trail leading through a tangle of mangroves and the pristine area sports a white, sandy beach that’s a particularly popular hotspot for bird-watchers. On this 7-hour tour you’ll have time to enjoy some swimming and snorkeling, or just relaxing with a good book if that’s more your speed. 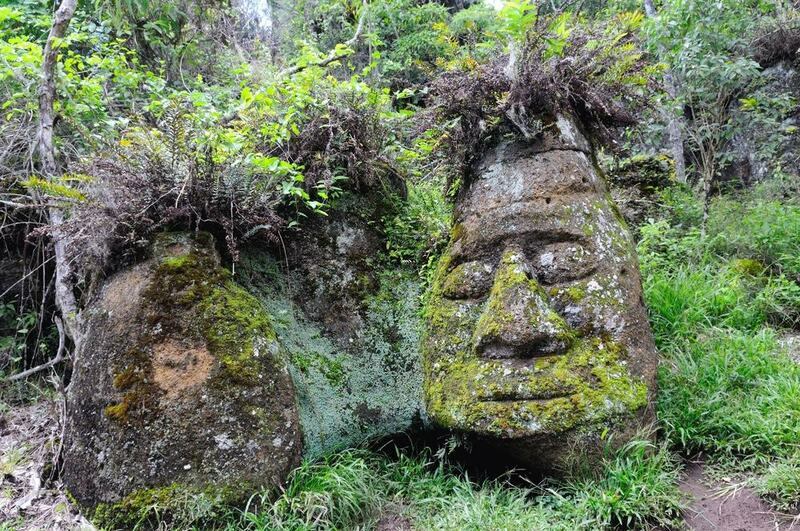 Cerro Mesa was the famous islands’ first ecological park and it’s still a visitor favorite. The island has plenty of walkable trails in case you’d like to take a short stroll after the beachside picnic lunch. Kayak rentals are available too for a small fee. This full-day tour of Pinzón Island is a great fit for those looking to enjoy some activities like turtle watching, fishing, and snorkeling. The waters surrounding the island are amazingly clear and attract marine iguanas, sea turtles, and lots of other colorful fish that are easy to see when submerged. If you’re lucky and happen to catch an edible fish or two, they’ll be on the lunch menu. The tour includes hotel pickup and drop-off, the equipment you’ll need and lunch: even if the fish weren’t biting. A brief wildlife viewing excursion at La Fe on your way back to port is a great way to end the day. 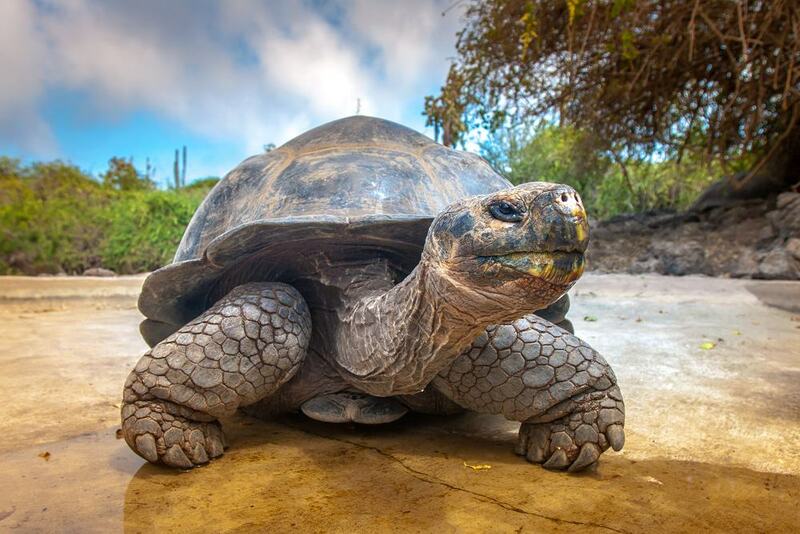 This all-inclusive 4-day tour focuses on the highlights of the Galápagos Islands, and is the perfect amount of time to see the area’s wonders without overdoing it. It’s full of physical activities like snorkeling, hiking and kayaking that’ll not only help you burn a few calories, but they’ll get you close to the amazing natural wonders and animals that the area is known for. Your bilingual guide will meet you at the airport, and depending on your interests and fitness you’ll be able to choose what you’d like to do and when you’d like to do it. Consider starting at the interesting and educational Interpretive Center. For those travelers without a lot of time to spare, this half-day tour of Santa Cruz Island and Bahia would be a great way to maximize your exposure without setting aside a whole day or breaking the bank. Among the tour’s highlights are the sea lion colony at La Lobería, and a few amazing bays that are great places to catch glimpses of the area’s amazing animals like sea turtles, rays, and a variety of seabirds that congregate near the mangroves. This tour includes pickup from your hotel in Santa Cruz and a local guide who is up-to-speed on all that makes this place such a wonder. Half-day trips are great ways to use your valuable vacation time wisely and efficiently. You’ll be able to see and experience an amazing array of sights and activities and still have more than a half day left to fill at your leisure. This tour will lead you on an exploration of some of the area’s most dramatic lava tunnels, and you’ll also do a bit of bird and animal watching. 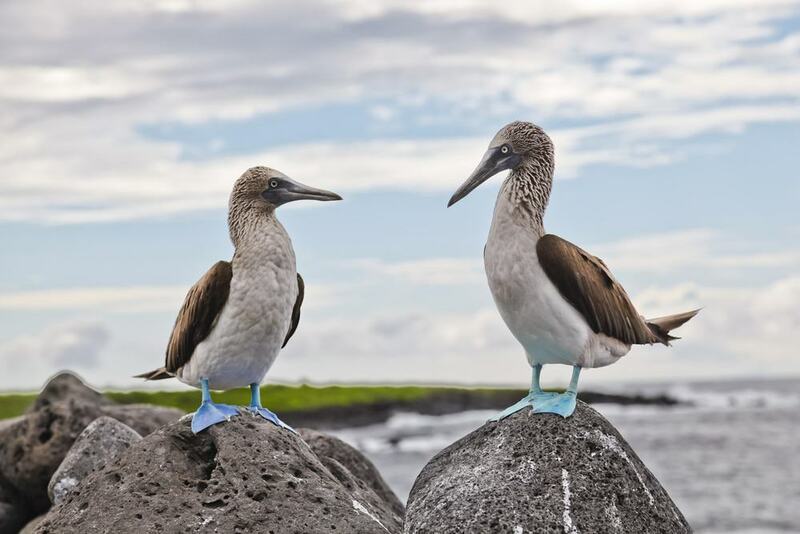 The land and sea are full of exotic animals like sea lions, penguins, and the ever-popular blue footed boobies – possibly the coolest named bird in the world. This whirlwind tour fills up fast so book well in advance if possible. 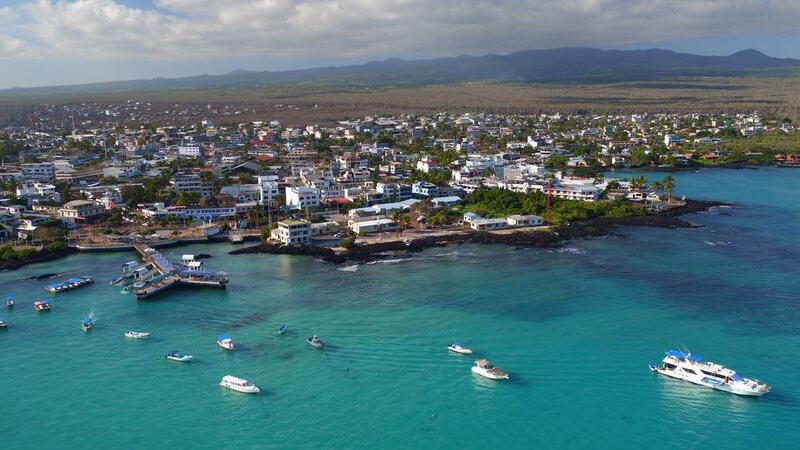 If you plan on experiencing the wonders of this day-trip, your best bet will be to spend the previous night in Puerto Ayora, which is where the tour begins. 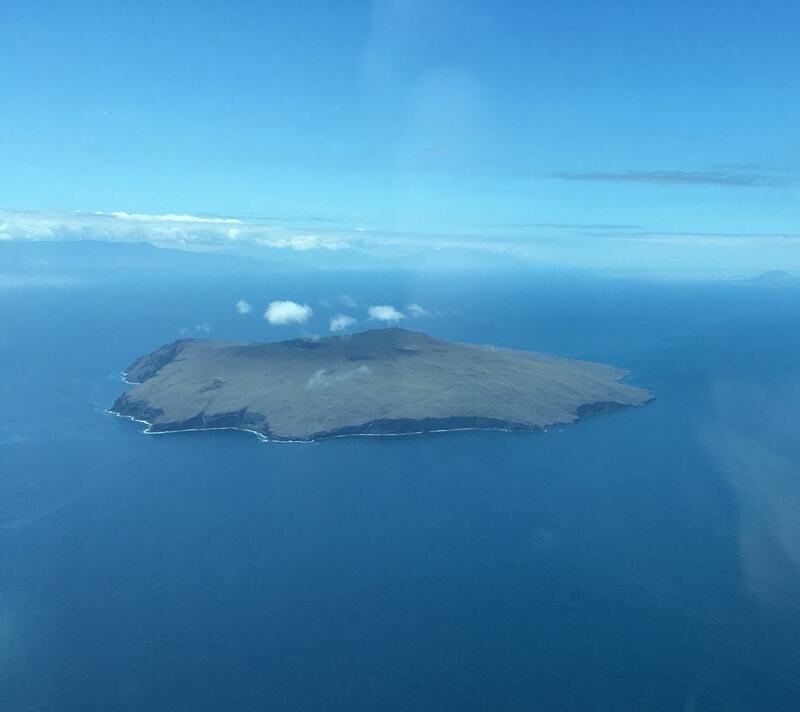 You’ll be whisked via yacht to North Seymour Island where you’ll get clear views of the area’s amazing wildlife, especially the marine birds that are favorites of bird-watchers from all over the world. You and your travel mates will have plenty of time to swim, snorkel, and relax before heading back. Remember this is a private boat tour, so you won’t have to wait in any long lines like a lot of other folks who didn’t plan ahead will. This half-day tour begins in the morning and includes door-to-door transportation, a guide, and all the training and equipment you’ll need to have a safe and unforgettable day. 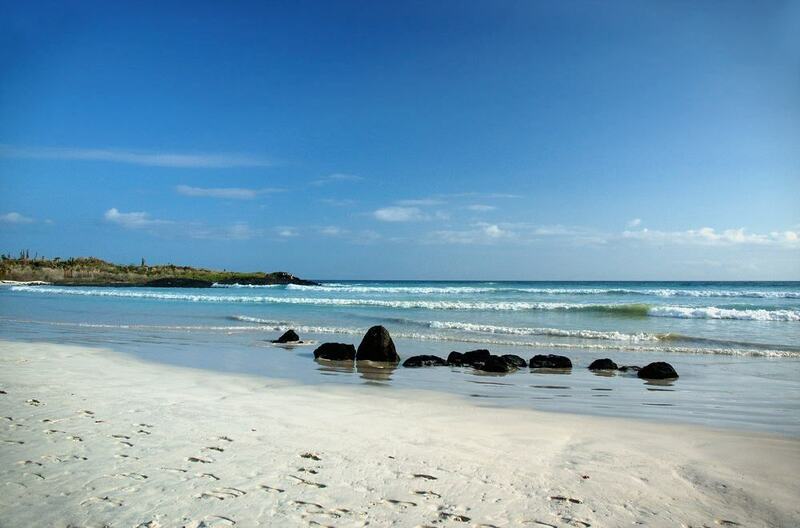 You’ll get some relaxing beach time before heading to La Lobería, one of the Galápagos Islands’ most famous beaches. Snorkeling is one of the tour’s major highlights, and you’ll be surprised at how many wonderful animals you’ll be able to see, including some rather amiable sea lions that are fond of tourists. Before heading back you’ll get some free time to continue snorkeling, work on your tan, or lounge in the shade with a good book. If you’re an experienced scuba diver with up-to-date certification, then this diving tour to Kicker Rock should be on your itinerary. 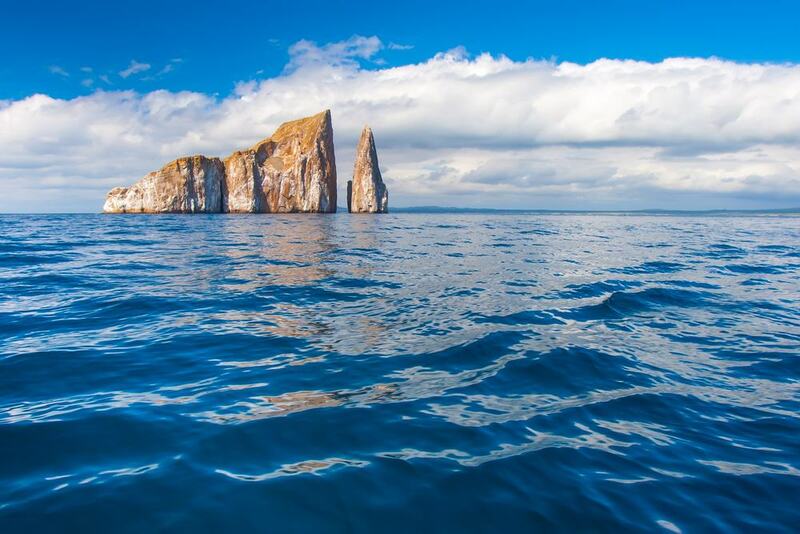 The seven-hour tour’s highlight is Kicker Rock, which is the island chain’s most sought after diving site for the clarity of the water and amazing fish and other marine life you’ll likely get to see including octopus, sharks, and sea bass. The water’s depth reaches over 100 feet, and your guide will be experienced and certified as well, and will lead you and your companions to all the viewing hotspots. The tour doesn’t include door-to-door transportation, but that shouldn’t be a big deal considering the amazing day you’ll have. Rumor has it that the sea lions who live on the beaches and sea around the Galápagos Islands enjoy showing off their underwater acrobatic skills for tourists. After a scenic boat ride, you’ll disembark on a land tour of the island where you’ll take in the natural scenery and amazing animals like frigate birds and the large marine iguanas that cling to volcanic rocks in the breaking waves. Snorkeling is another of the tour’s highlights, and with a bit of luck you’ll be able to see sea turtles and lots of beautiful fish. All the gear and training you’ll need are included. For those who enjoy stretching their legs and burning a few calories, this four-hour hike to the Sierra Negra Volcano is a good fit. You’ll be amazed at the plants that have colonized the stark and uninviting land around the volcano’s rim, and you’ll enjoy amazing vistas of the island and surrounding sea too. Your guide will inform you of the area’s geologic history and animal life, much of which is totally unique to this diverse part of the world. Transportation, lunch and your guide are all included. 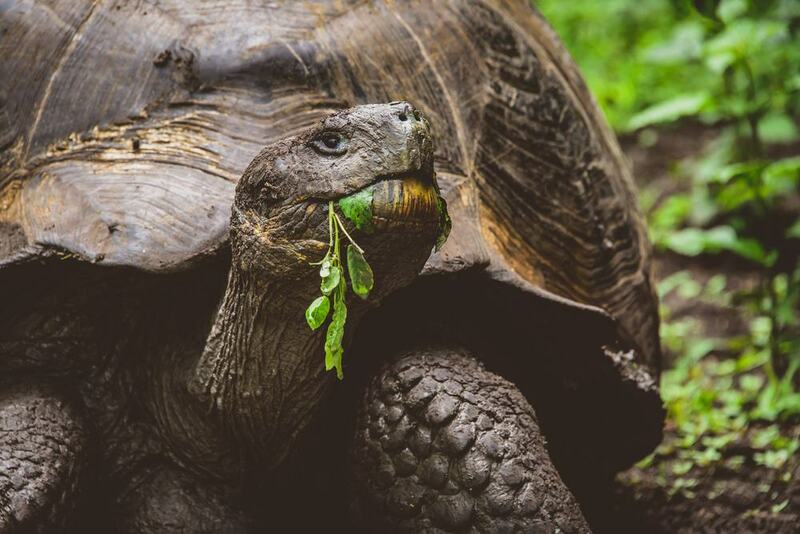 No other animal symbolizes the biologic importance of the Galápagos Islands more than the massive Giant Tortoises. These majestic animals are thought to be among the oldest living animals on the planet and are truly amazing to see up close. Your tour will also include a walk through some of the islands subterranean lava tubes which have been created from volcanic activity and are inhabited by interesting species of plants and animals. Group size is limited to 15 so you’ll get a more intimate experience than you would if you went with a larger and more impersonal crowd.